The entry way was the selling feature of the home with its grand curved stair case and two story ceilings. I always felt a little embarrassed by its grandiose entrance especially when friends came over but I tried to keep it minimal and welcoming with seating and a basic cow hide rug (which is the best rug for a lot of foot traffic!). I made the DIY entry metal bench, which had storage for shoes and a place where guests could place their bag. Having the piano in the entry way was such a great idea because every time my kids walked past it, which was multiple times a day, they would sit down to play it. This was the room where the family hang out most of the time. We watched TV here, played board games, held parties. I really loved how the great room opened up to the kitchen area. These two rooms were our favorites and are missed the most. I pulled all the wooden blinds down and added curtains and made the roman shades (which I still need to do a how-to post). We had the two sofas reupholstered to the current fabrics. They used to be brown and yellow! We added the orb chandelier. 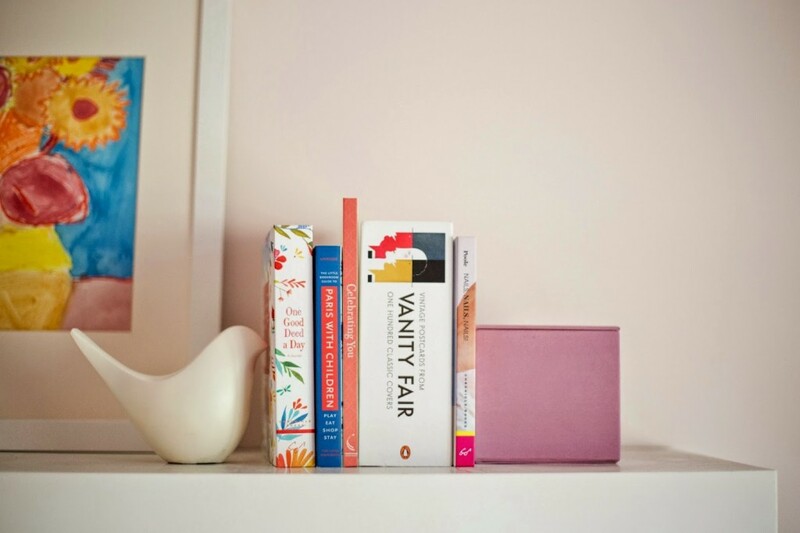 Check out how I styled our built-in bookshelf. And check out how to make your own DIY copper planters and DIY copper blanket ladder. I’ve posted my kitchen frequently through my social media outlets. My kitchen is your typical white builder-grade kitchen. When we first moved in all the handles were dark brass and there was no pendant lights over the island or chandelier over the kitchen table area. We made those changes pretty fast and it brought beautiful visual interest and was a fairly easy update. My office is right off the entry way so I wanted it to be another inviting room but also functional for my every day needs. I recently posted all about my office studio and the inspiration behind it along with many more photos! Find out more along with resource guide. This is the room that gets the best morning light! We added wallpaper to the room to add visual interest. We bought the ikat wall paper at a local wallpaper store and I can’t remember what the style or brand! The dining room table is my favorite from Restoration Hardware along with the white pleather chair that have held up so well with children after so many years. You can read more about my Guest Bedroom, which I posted many of the resources. 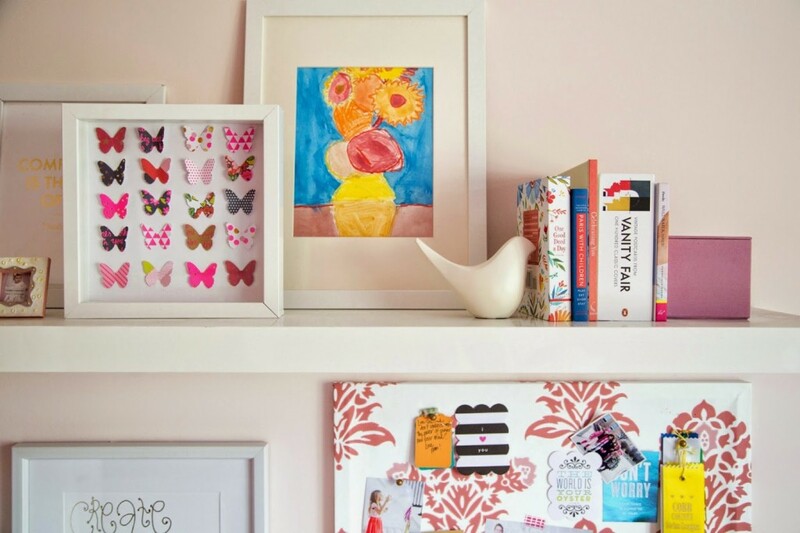 The gold framed art pictures were an easy watercolor DIY. Our guest bedroom was located on the main level. 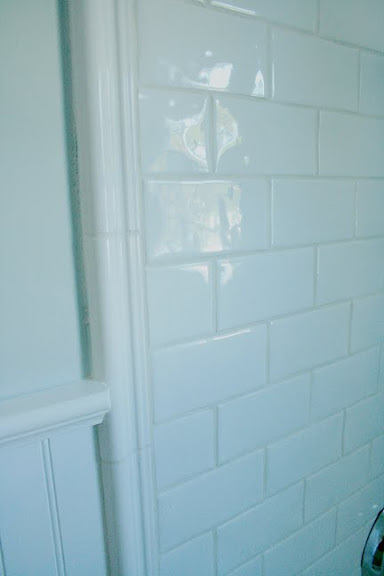 You can see the before and after pictures of our powder bathroom. We wallpapered the entire bathroom and I still love that trellis wallpaper! It’s amazing how a few easy updates can drastically change the look of a room even in a bathroom. I just recently posted all about the boy’s bedroom. This was a room I ignored for a while! But slowly the room came together. The boys loved this room. The final decorating piece we added was the pendant light, which I was so sad to part with. Such a fun light! Check out all the resources on the original boy’s bedroom post. Another favorite room that we are sad to part with or at least the wallpaper! 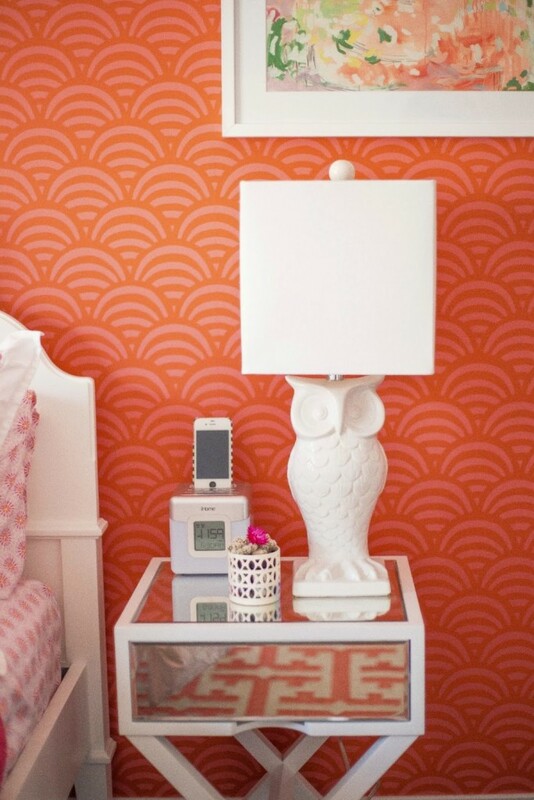 We still are so obsessed with that wallpaper and it’s been over 5 years! This was a room I quickly put together shortly after moving into the house. 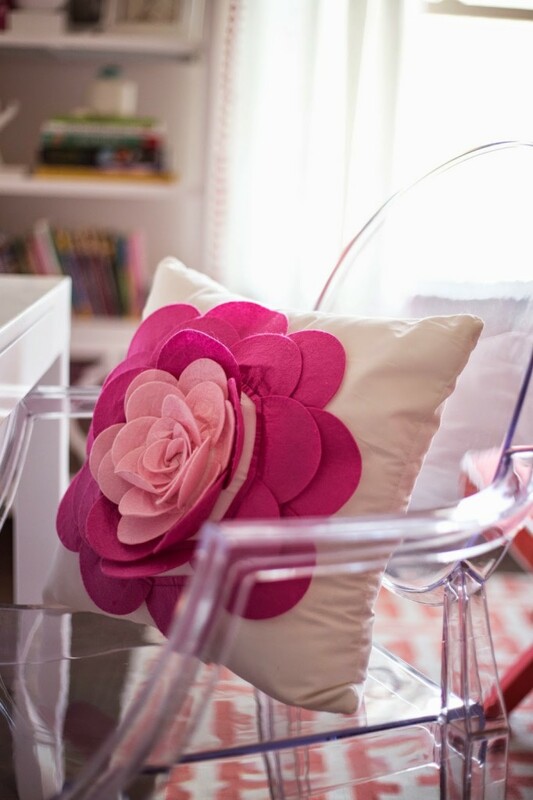 You can find all the resources and additional photos on the original girl’s tween bedroom post! Okay our master bedroom was the VERY last room…or two that we furnished, partially because it was so large and needed a lot of furniture. I did a few DIYs in the room like our dresser (which isn’t pictured) but you can see the before and after of the dresser. 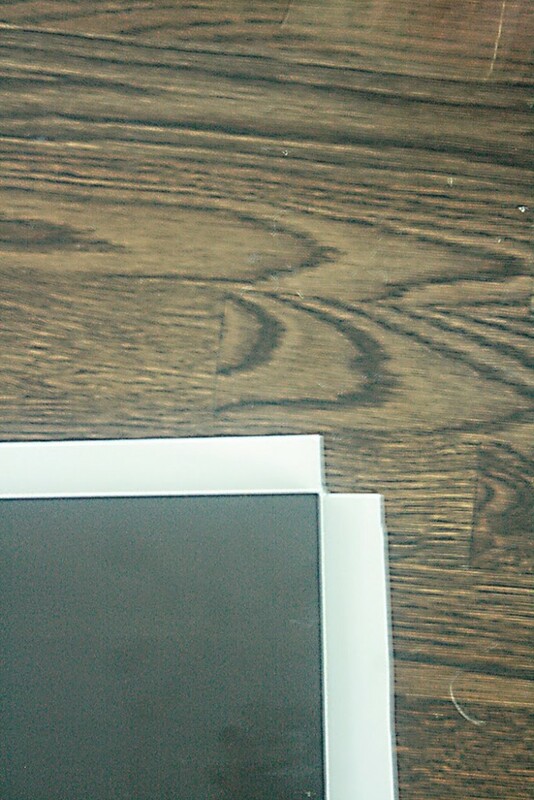 Also I lacquered the two tall bamboo mirrors that are beside the bed. The little tub chair was a garage sale find that I reupholstered. I should of done a little more posting on that cute chair because I love it and love how it came out with the complementing solid and print fabrics! You can, however, see the before pictures of the chair. The two tall lamps was a flea market found that my friend found for me. I lacquered the middle section white and then spray painted the bottom and top gold and replaced the shades for new ones. I really wanted to do a few more things to this bedroom so I wouldn’t say it was completed but close to it! Thanks for coming along my Georgia Home tour! We have loved this home but are excited to change up the new home we are have moved in! Let me know if you have any questions about resources. I will try and answer! I am excited to finally share my girl boss space and give you a full Darleen Meier Jewelry office tour for my business, and where I make and design jewelry and where I blog. I’m not sure why I haven’t shared my office before, but I think it’s about time! This office space is right off the front door entry, so it’s one of the first rooms you see when you enter the house. 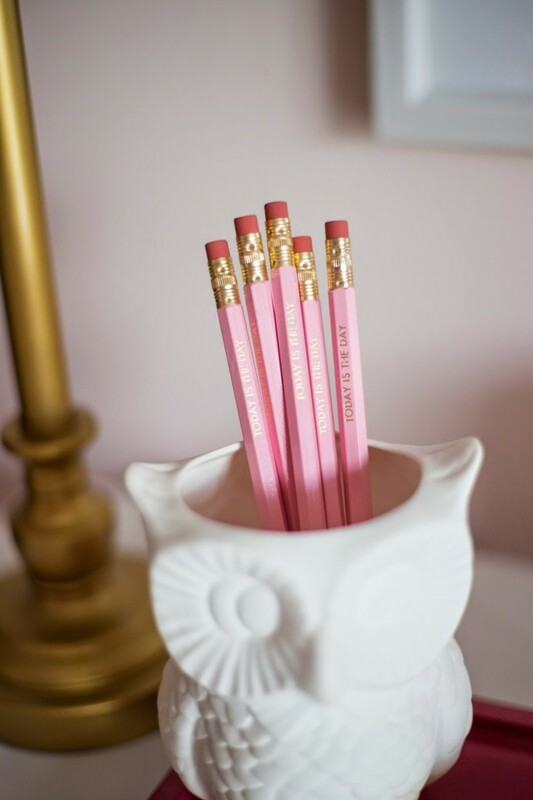 I wanted to create a feminine and chic office that has the design elements of my brand, but is also inviting and cozy. We love this space and hang out here every day! If I have missed anything please let me know! 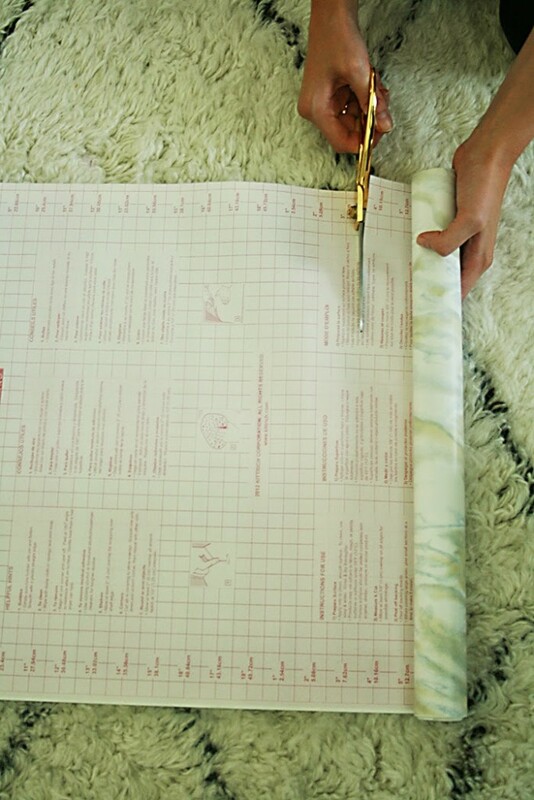 I hope you find inspiration for my Darleen Meier Jewelry office tour. DIY Copper Hat Rack: Summer time is usually when I rock a hat..almost everyday. Protection from the sun and blocking harmful UV rays makes me all about wearing a hat when I head outside. So, my hat collection, specifically my straw hat collection, has become a little out of control, and I have been in desperation of organizing the collection. I have wanted to buy a hat rack, but most of the hat racks on the market weren’t quite what I was looking for. But after DIYing the copper clothing rack, I was leaning toward a DIY copper hat rack because I had left over copper supplies and thought it would be a great way to use up my copper inventory. All said and done, this DIY copper hat rack what SO easy and took about five minutes to put together with total supplies of about $15. Of course, not including the cost of the hats! Find a spot in your closet to set up your hat collection. Or this DIY copper hat rack is so chic and stylish you could use your hats as display over a headboard or dresser. I recommend using parts from Tradefix Direct as the price and quality are both very good! All these materials are available at Home Depot or your local hardware store. Or you can buy with the links below, but prices will be higher. 1/2″ in diameter and anywhere from 5 ft – 10ft copper pipe depending on how wide you need. You can also buy long and cut down the copper. See the how to. Figure out where you want to hang your hat rack. Think about how wide your hats are and make sure to leave room from the end of the hat to what it will be near. Also think about how many hats you want to hang. You can double similar hats together to maximize space. Also if space permits, you can hang from the clips rope or string and then attach hats with clothing clips to the ropes. Lots of different options! Once if you figure out where you want to display your hats, take your hammer and pound in one of the pipe straps to the wall with a nail. Use screws for a stronger connection or if you are planning to hang quite a bit of hats on it. Make sure you get 3/4″ pipe strap, NOT 1/2″. That way you can slide your copper pipe in and out of the pipe strap to add or remove ring clips without marking your walls too much. Add the end caps to the ends of the copper pipe and then slide your curtain rod rings on it and keep them in the middle of the pipe. Then slide your copper pipe into the pipe strap. 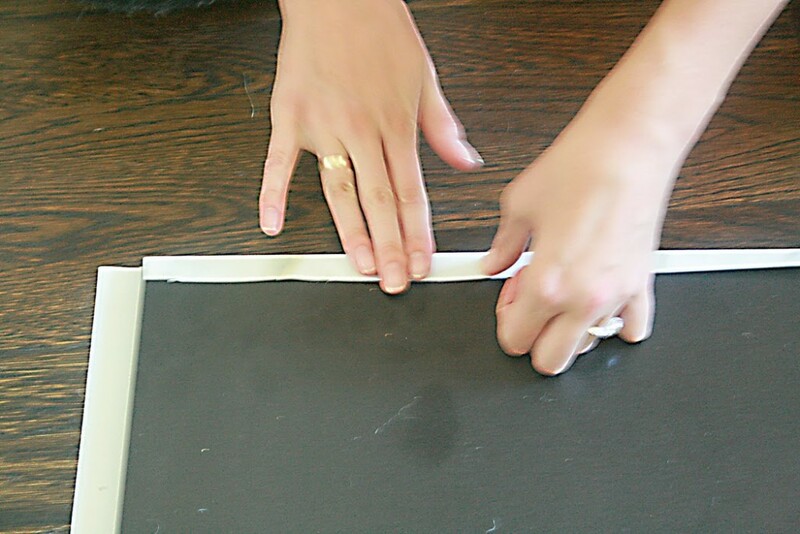 Use your leveler, or if you have a good eye, to make sure the pipe is straight against the wall. Then take your other pipe strap and place one the other end of the copper pipe. Secure in place with either nails or screws. Grab your hats and clip them onto the curtain rings. Then enjoy! The birds are finally chirping and the blossoms are blooming. The cherry blossoms and dogwood trees have flower buds on them. Color and greenery is finally returning to my area. I’m eager to bring bottle up spring and bring it indoors. Everything is so beautiful! Obviously, you can’t actually bring the spring season inside the home, but there are ways to emulate the feeling of spring and spring colors throughout your home and kitchen with decor and colors. 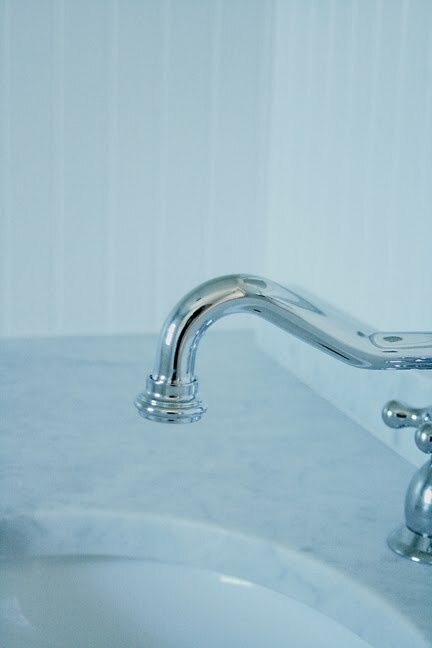 I am sharing 6 spring ways to freshen kitchen and revive and restore the drabby natural colors left over from winter. Don’t forget though that a simple way that you can freshen up your house is to make sure that it is clean and tidy as well. If this is something that you know you struggle with then you could easily hire a professional cleaner from somewhere like Sparkle and Shine. Bring Pantone Greenery into your kitchen . I love the 2017 Pantone color “Greenery”, and it has spring written all over it! The color trend is big among many retailers this year, so add a pop of the invigorating Greenery in your kitchen through milk glass cake stands, plates, decorative fruit bowls and linens. Add a houseplant or fresh flowers in your kitchen . I finally found a spot for my new houseplants and copper stands, and they are located right next to my kitchen. I love how alive they make the room feel. And the houseplants also go along with the Pantone Greenery color. Houseplants are a great spring way to freshen up a kitchen. And you can never go wrong with fresh flowers especially spring flowers like tulips, daffodils and daisies. Fresh flowers always bring a smile to the face, and you will enjoy having a little color and life in your kitchen. So if you are thinking that you would like to get some houseplants, but are unsure about how you would look after them, then all you need to do is check out s a cite like Bloomspace who can help you with your decision making. Adorn the counter or kitchen wall with Artwork or Print. Placing artwork or a fun print with favorite saying in your kitchen is unexpected but clever and a great way to enjoy a little splash of color. Art is a great spring way to freshen up kitchen. 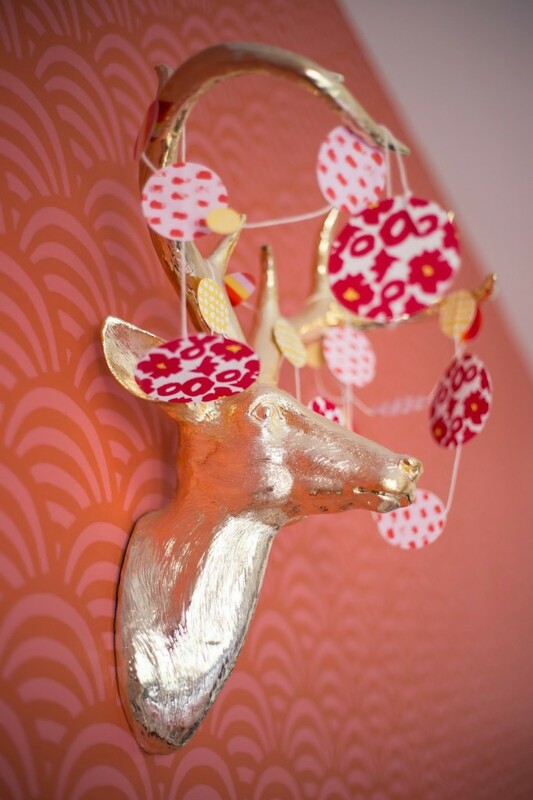 It can glam up a space or just put a smile on your face every morning. It doesn’t even just need to be the art that gets changed in the kitchen. You could even take a look at something like this huge range of kitchen wall panels to change things up a bit. It all depends on what you actually want doing to your kitchen. Buy a new decorative kitchen item. I love buying something small and new for my kitchen each spring. It could be a pedestal fruit bowl or a new set of tea cups or a cake stand. This year I wanted to get matching ceramic measuring cups and measuring spoons. I probably use them everyday, and they are just so pretty to keep them out on display!. Also, they are a part of the Pantone Greenery family color. Display pretty linens. Liven up your kitchen with clean, fresh linens. 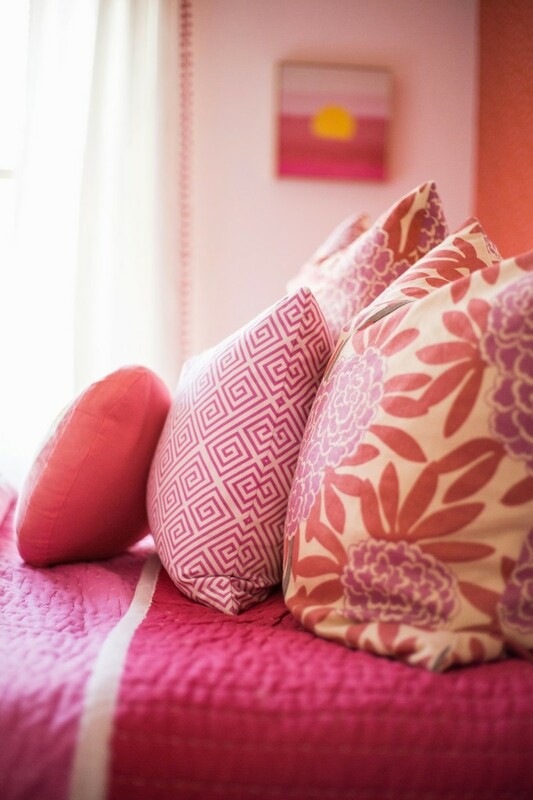 It could be dishtowel, tea towel, fabric napkins, tablecloth–anything that has a splash of color or spring colors. Throw away any old rags or spoiled cloths. It’s nice to start off a season with fresh clean towels or linens to add to a table or hang over a towel rack. Buy pretty hand soap and candles that smell like spring. Bring the smell of spring in your daily hand soap or kitchen candles. After cleaning my kitchen for the night, I love to burn floral candles. Also, washing my hands with floral soap or lemon soap is a favorite for spring! Those are easy 6 spring ways to freshen kitchen and my favorites ones that I like to incorporate each year. Do you have some tricks to freshen up your kitchen for spring? We just celebrated my Stella’s 12th birthday this past weekend with a boho birthday outdoor movie night. I can’t believe how quickly she is growing up! She has gone from the cutest toddler to a beautiful young woman overnight. Seriously! I secretly always get a little sad when it is my children’s birthday. I just want to keep them little and with me forever! So Stella is now in middle school and wanted to spend the evening just hanging out with her girlfriends. We decided to do another birthday party at our house to keep it simple. The weather is so perfect right now in Georgia! The perfect fall weather with cool evenings. We decided to host the party outdoor with a movie and a fire in our fire pit. I wanted to make the patio cozy so the girls can hang out and lounge, so we brought down rugs, poufs and throw pillows. Her and her friend’s favourite food to have whenever they are all together is Pizza. And as it is her birthday, I thought I would treat her. There’s nothing better than seeing the look on her face when the pizza delivery guy knocks on the door. She loves Pizza that much! As well as this, there were other snacks and treats to occupy them with throughout the night. Stella and all her girlfriends loved the outdoor setting for the boho birthday outdoor movie night. For the boho birthday outdoor movie night we borrowed a friend’s projector she’d got at RM Projectors and makeshift outdoor movie screen, which is made from pvc pipes and a canvas fabric. A simple white sheet would of done the deal, but we don’t really have a tall fence in our backyard to cover. The cute wooden stand that displayed the cake and sugar cookies was also borrowed from a sweet friend who built it for her daughter as a lemonade stand. Isn’t so cute? She is so kind to let many of our friends borrow it for our kids birthday party! Stella’s invitations for her boho birthday outdoor movie night was focused around dreamcatchers. So I made a few for party decorations. Once the party began, I taught the girls how to make their own dream catcher. I made gold-dipped feathers prior to the party to add a little glitter to the dreamcatchers. The girls loved the project. And they loved it even more that they got to take home something they could display in their bedroom. When night came, we started a fire in our fire pit and the girls made s’mores and watched the movie. For the candy table, I bought fun marshmallows that coordinated with the party colors but also could be used for the s’mores. I’ve listed the resources below. And how beautiful are the dreamcatcher sugar cookies?? They were so gorgeous in person and yummy of course. My friend popped some popcorn with his Popcorn Maker and brought them over. As far as the naked cake with fresh flowers, I made it! I usually I order my cakes because I’m a horrible baker. But this one I decided to tackle and was pleased with the results. I would say Stella’s boho birthday outdoor movie night was a success! We recently replaced our dining room light fixture for a paris flea chandelier in the above picture. Our dining room was without a light fixture for a few months as I looked and looked for a suitable and budget-friendly light fixture (lights are expensive!). We moved the original empire-style beaded chandelier to our bedroom because the size of the fixture was small and looked disproportionate to the table and dining room. Also the fixture had three little lights so at night the dining room was moody and dark. We really needed to replace it with a modern dining room light fixture. But I also needed to consider that we live in a very traditional southern home so I wanted a light that was complemented the style of the home. We briefly considered installing a WiFi light switch like the tp link vs wemo, but we decided against it as we simply preferred the classic look. When buying a dining room light fixture, you really do need to consider the style of the fixture but also the functionality of the fixture. 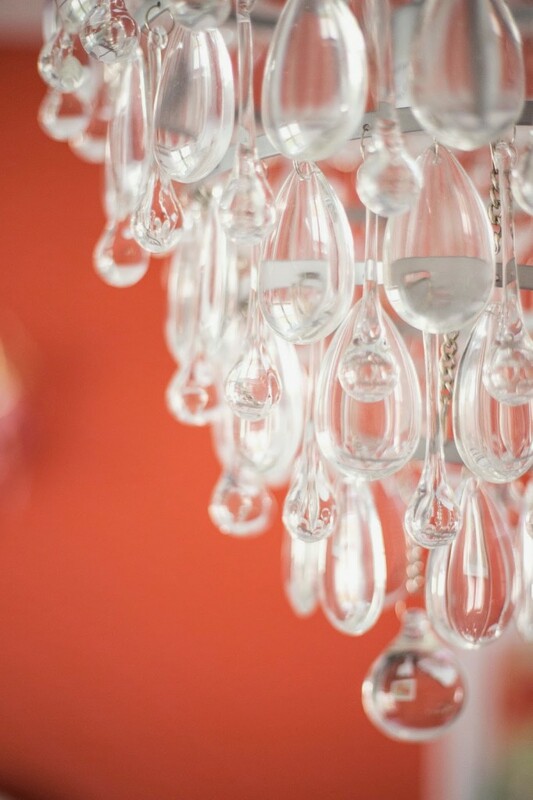 Here are a 4 tips I have learned while dealing with our dining room light fixture drama. Take into consideration the size of your dining room and dining room table. Measure the height and width. Proportion is the key and a good place to start. A dining room light fixture should have 30-34″ of clearance from the tabletop. Consider the height of your ceiling (which was another issue of ours). We have really high ceiling so I needed to find a chandelier that had substance. I love all the wire modern light fixtures and arm light fixtures, but in my dining room it would have become lost. You want your light fixture to be the attention seeker of the room. Also when installing, make sure there is enough clearance between the bottom of where the chandelier will hang and the head of a tall person. Lighting! Consider how many light bulbs the dining room light fixture will have. Like I said before, our previous fixture only had three light bulbs so the room had didn’t have a lot of light when the light was on. Good for a romantic dinner, not good for entertaining. Make sure your lighting is soft and not too blinding. Consider the style of the chandelier. 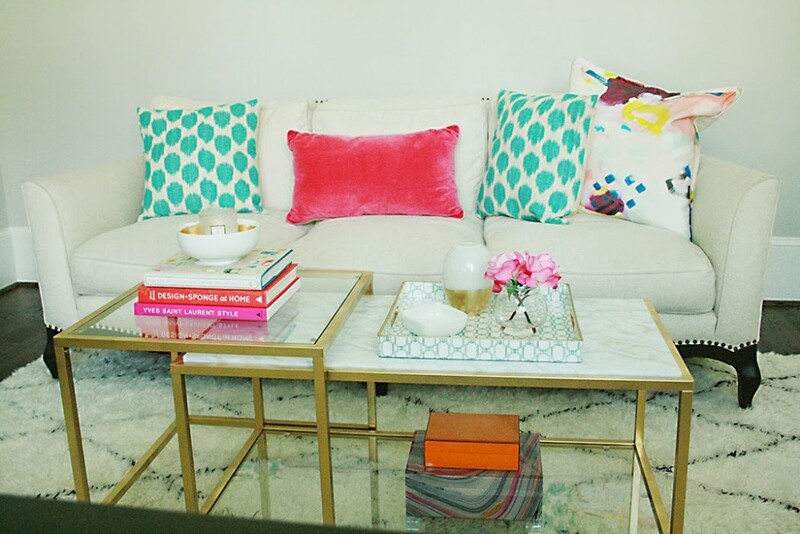 I love mixing styles, but you don’t want to go overboard with many styles clashing in your house. The dining room is one of the home’s main focal rooms, so keep it consistent and have complementing styles. The modern dining room light fixture is really in style right now. But you don’t have to feel pressure to put a style in that everyone is doing and then in the end doesn’t look good! I’ve done that before too. I do like how there are modern contemporary light fixtures and then modern traditional light fixtures. The best of both worlds! I’ve shared some of my favorites modern dining room lights below. I love these contemporary modern dining room light fixtures. They are statement pieces but are still not completely over the top. With four or more light bulbs and also their size and width seem adequate. I love that there are so many traditional modern light fixtures now available. A classic updated look. There are so many choices and metal finishes. The light fixture that I bought for our dining room is option #6 (it comes in a gold brass finish too). I just added lamp shades for a more finish look. 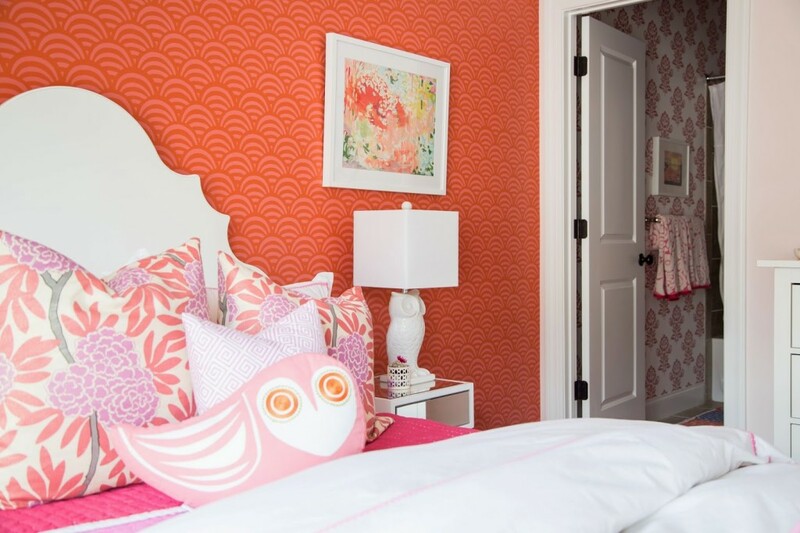 Tween Girl Pink + Coral Bedroom. It’s only taken a year to get my older daughter’s bedroom fully decorated. 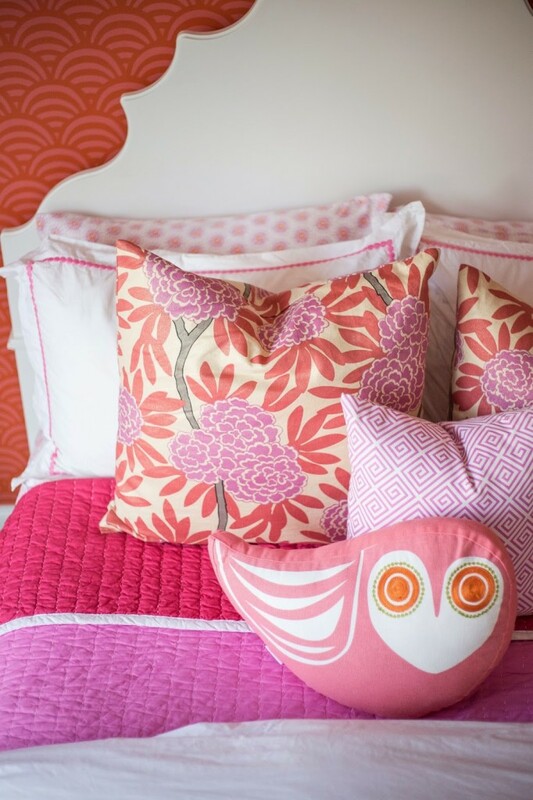 Her tween girl bedroom turned out so cute! We had the basics done pretty quickly (bed, bedding, wallpaper, dresser) after moving into this house but then all the little details just took some time. I really wanted to make it her own and personalize it with her in mind. So many of the artwork is my daughters, and surprisedly we did a lot of DIYs in her room. 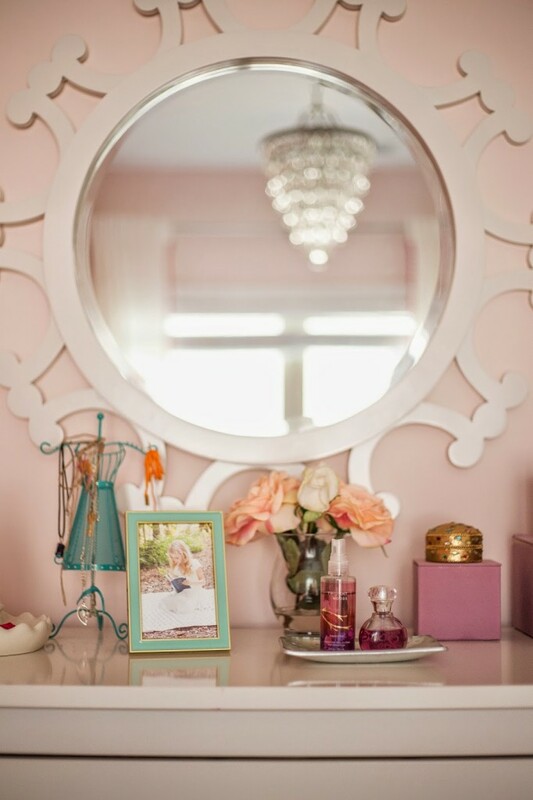 Dana Tolbert Photography took all the pictures of her room (except where noted). They came out so good, and Dana really captured the details of the room. Sources are below for her tween girl bedroom. Let me know if you see something I didn’t list! 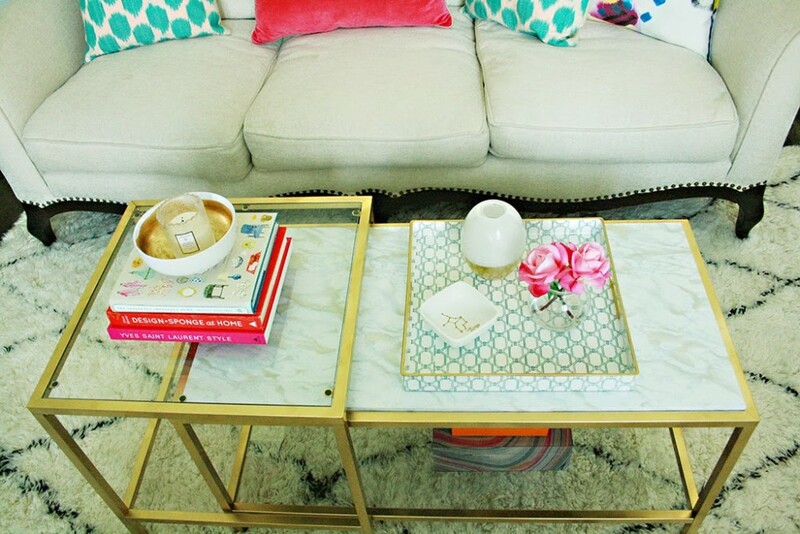 DIY marble gold coffee table. 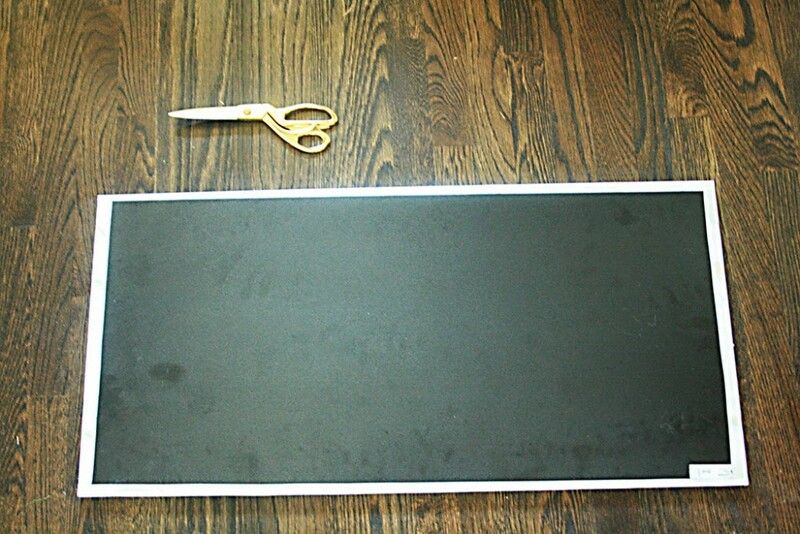 I’m finally posting a DIY project I did earlier this summer. 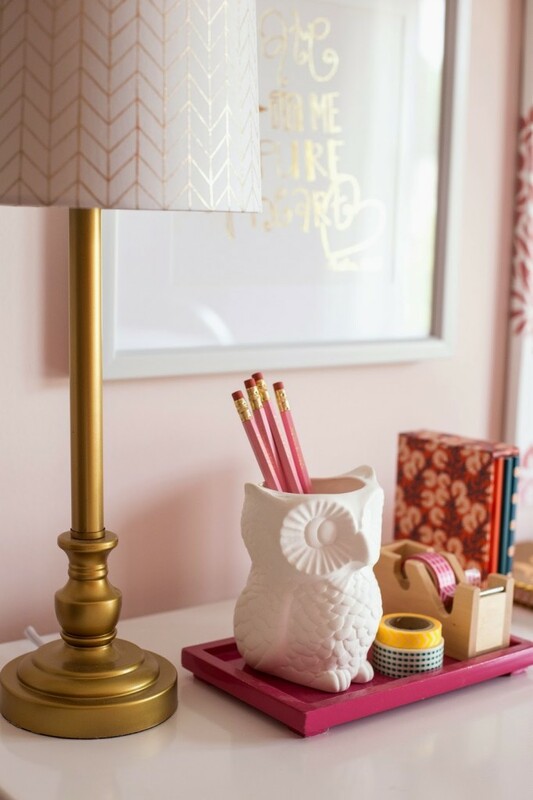 It’s one of my favorite home decor Ikea hack/ Jonathan Adler knockoff project. And everytime I walk by it, I smile! 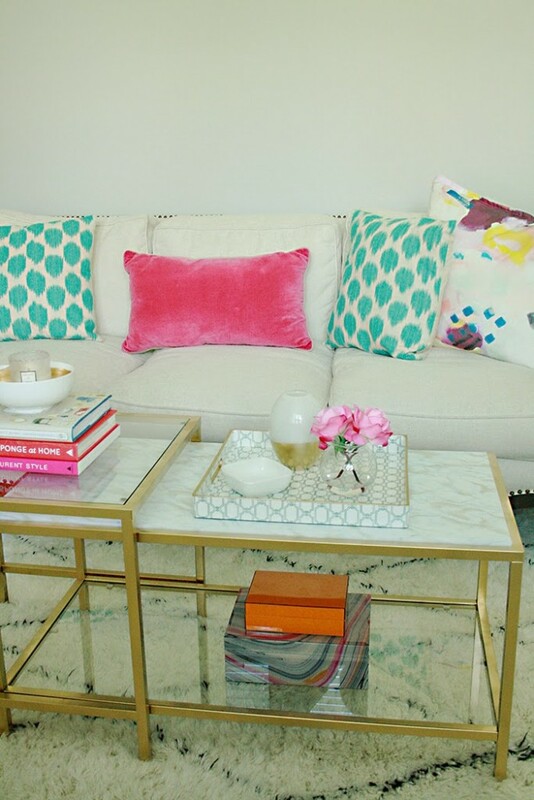 I love Jonathan Adler’s gold accent furniture, but each piece is well above my price range. So this is my alternative, and it’s working perfectly. I’ve done a lot of home projects with gold accenting. Check out my post over at How Does She, where I talk about my favorite gold techniques for DIY projects. This project will cost you less than $80. Not bad for some glamour. Head yourself over to Ikea and pick up the Vittsjo nesting tables for $59. 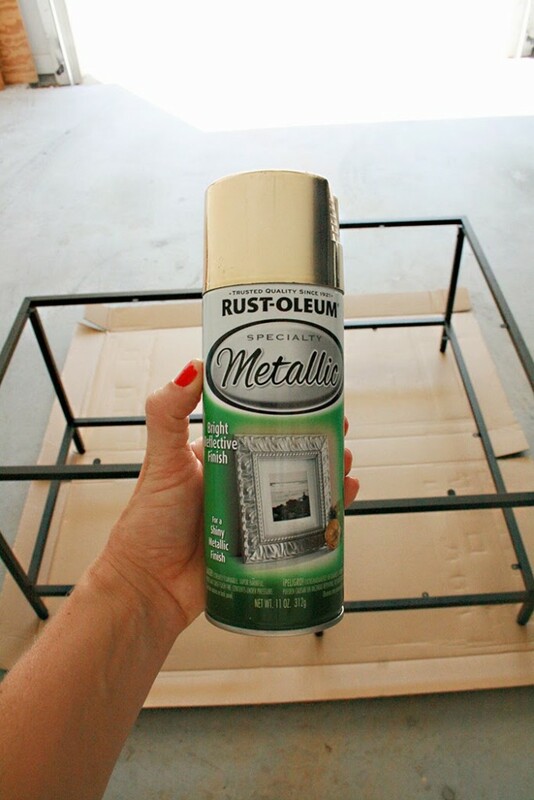 Then pick up a can of Rustoleum Metallic Gold spray paint. This is the best brand for metallic gold. 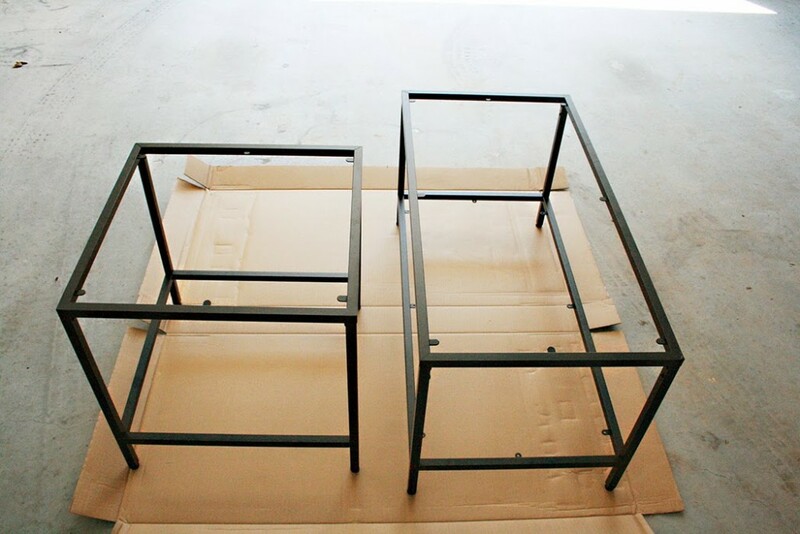 Put together the nesting table then spray paint the frame gold. Only the frame. 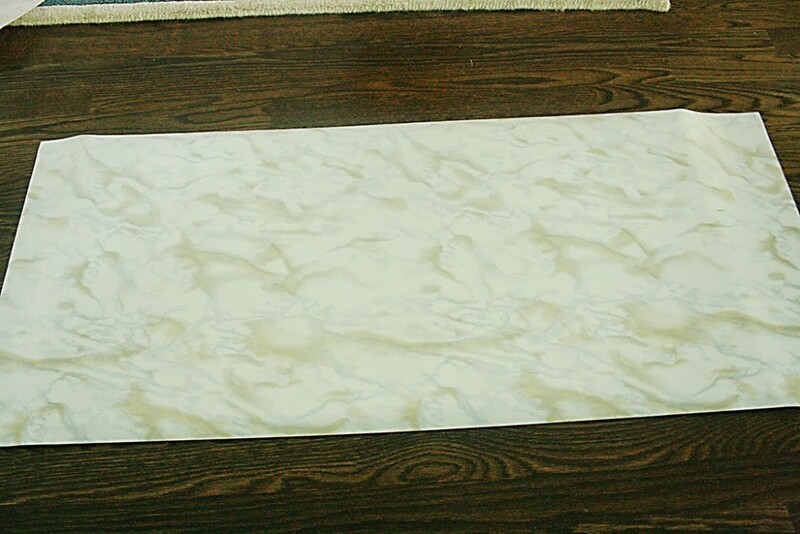 Then head over to Amazon and buy marble contact paper. 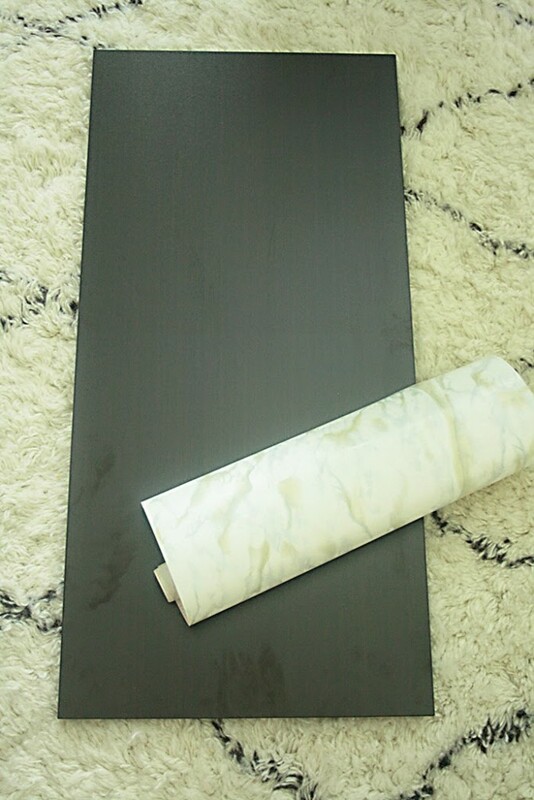 Then take the wood coffee table table, cut to size and cover with the marble contact paper. Warning…sorry for the bad pictures! You are done! 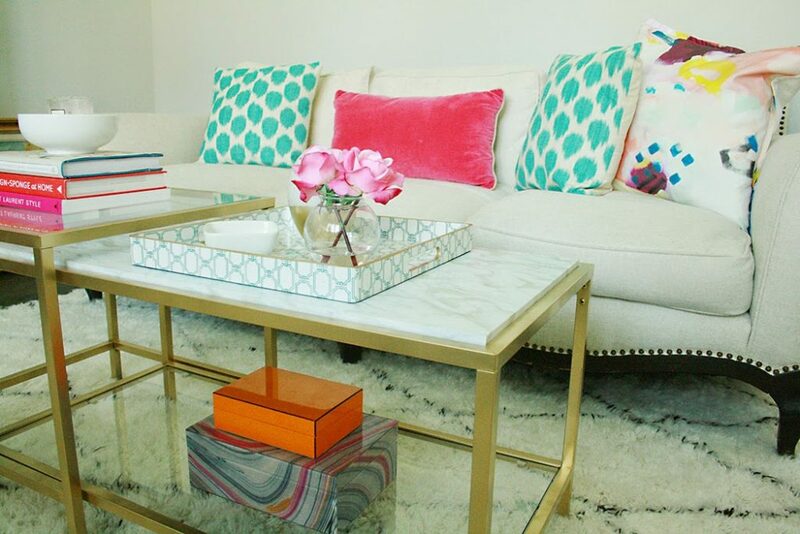 Put your glass top on the bottom of the coffee table. Accessorize the top and enjoy! Our bathroom is ALMOST done. Some of the finishing details are delaying the process, but it’s pretty much done. The toilet is in and bathtub and vanity. It looks really good and completely different…but still the same (in a good way). Some things that I learned about renovating is make a list! 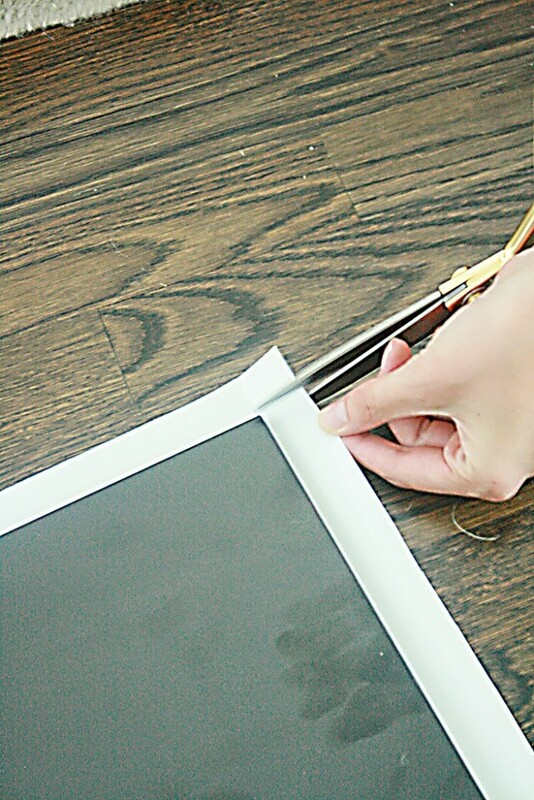 I was very involved in the whole process, and was in charge of getting a lot of the finishing materials. I didn’t make a list–just kept everything in my head. Not good because I forgot some of the minor items. Like shower curtain rod (which had to be special ordered) and lighting sconces. Those small things have delayed everything being 100% done. Also, measure out your walls, the size of the shower/tub and anything else. Write it down and take that paper when buying materials. It makes it so you don’t have to make multiple trips to the hardware store yet making the whole process delayed. I found some great online resources. Some of them I’ll share next week. But one online resource for very reasonable priced Italian cararra mable was Builder’s Depot Direct. They sell very competitive pricing for tile especially Cararra tile. The only thing is you have to consider shipping, but they have a program for lower shipping rates.